Take an English-Spanish dictionary with you wherever you go, create compelling images, and launch apps and actions with today’s collection of apps and games. GyroSynth ($2.99 → Free, 8.3 MB): Move to make music with GyroSynth. Musicians of every kind. More than anything, GyroSynth is a lot of fun. It utilizes your iPhone’s built-in gyroscope to create movement-based synthesized music. Hold your iPhone up like you would a mouse, and move it through the air to control parameters like pitch, volume, modulation, and filter cutoff. You’re able to toggle how the movements change the music, scales, FX, and more through on-screen buttons. GyroSynth is available for free for a limited time. It has a 4-star rating with a total of 149 ratings. Little Nugget: Baby Milestones ($2.99 → Free, 81.8 MB): Make those precious memories one-of-a-kind with Little Nugget. Parents and soon-to-be parents. With Little Nugget, you’ll be able to capture and curate little moments and major milestones. Powerful editing tools help bring out the best in your photos. Then get your creative juices flowing with 15 filters, 90 fonts, and more than 450 pieces of artwork. Your final creations can be shared privately or publicly, or you can order entire baby books and prints. Little Nugget: Baby Milestones is available for free for a limited time. It has a 4.5-star rating with a total of 5770 ratings. Magic Launcher Pro ($2.99 → Free, 115.8 MB): Launch apps and actions from your lock screen with Magic Launcher. Anyone who wants to be more efficient throughout the day. Magic Launcher has the ability to start more than 100,000 different apps and actions right from your lock screen. Upon Magic’s launch it’ll need to determine which apps are supported. After it has finished, you’ll be able to add quick access icons for your favorite apps, contacts, settings, and services to your lock screen. The app also includes 3D Touch support. 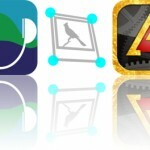 Magic Launcher Pro is available for free for a limited time. It has a 4-star rating with a total of 301 ratings. English Spanish Dictionary C. ($2.99 → Free, 159.7 MB): Take this English-Spanish reference dictionary wherever you go. Educators and anyone else who constantly deals with English and Spanish languages. This compact offline English-Spanish dictionary includes more than 396,000 entries, 579,000 translations, 505,000 synonyms, 98,000 definitions, and 40,000 examples. It also includes search, search history, the option to shake for a random word, favorites, synchronization via Dropbox, three background themes, and more than 45,000 images. You’re also able to expand the dictionary via in-app purchases. English Spanish Dictionary C. is available for free for a limited time. It has a 4-star rating with a total of 504 ratings. Schulte Table – improve fast reading and attention is available for free for a limited time. It has a 4.5-star rating with a total of 195 ratings. Typic – Text on Photos ($3.99 → Free, 234.8 MB): Create memes, cards, or otherwise spruce up images with text. Anyone who likes to share news, inspiration, and more, especially on social networks. Easily overlay quotes atop a portrait, add funny quotes or observations to create your own meme, or even construct a simply beautiful greeting, celebration, etc card. 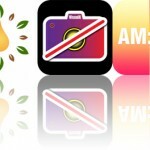 The app offers 105 font types, 23 filters, 12 light leak effects, 12 Frames, a 21 color palette and color wheel, as well as contrast, exposure, and filter intensity adjustments. Typic – Text on Photos is available for free for a limited time. It has a 4.5-star rating with a total of 2161 ratings.